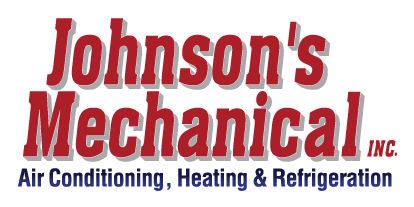 Leave Us a Review | Johnson's Mechanical Inc. Leave Us a Review | Johnson's Mechanical Inc. Knowledgeable, efficient and honest service. Reasonable prices and prompt response. Very satisfied with their work on our Lennox AC. Your service tech "Gerald" knows what he's doing and cares about the results. This company gave me the lowest price on my brand new install only company I'll use from now on. Loved my experience here. Their tech Kevin is awesome super nice guy! They treat you like family and we'll come to your call anytime day or night. Tom Hall, manager of Johnson's Mechanical, and his staff consistently deliver superb customer service along with knowledgeable trade work. You definitely want to give this company your business when it comes to cooling and heating! Tom Hall is an amazing manager for Johnsons. He and his staff have a heart for people and put the customer first, always! Not many companies like this anymore where customer service is taken so seriously. Not many people like Tom anymore where honesty is always more important than a dollar. Our air went out late one night and Tom was here in a matter of minutes. He had it going in no time. Since then, he has worked on several of my friends air and they have all been very happy with the service. I highly recommend Johnson's Mechanical!